Welcome to Fight Night Combat, the website all about the one-on-one three club combat tournaments that take place at juggling conventions, festivals, and other events. Three club combat is the juggling sport with only one simple rule: The last person juggling wins! Here you'll find various player rankings pages, plus a page for every tournament and player, with results, rankings, and links to relevant videos and photos, players' tournament and match histories, rivalries, various records, and much more. For the latest news from the combat scene, check out the news archives or like the Fight Night Facebook page. To enable more fair and more interesting Fight Night tournaments by using previous form to help with the qualification process and inform seedings. 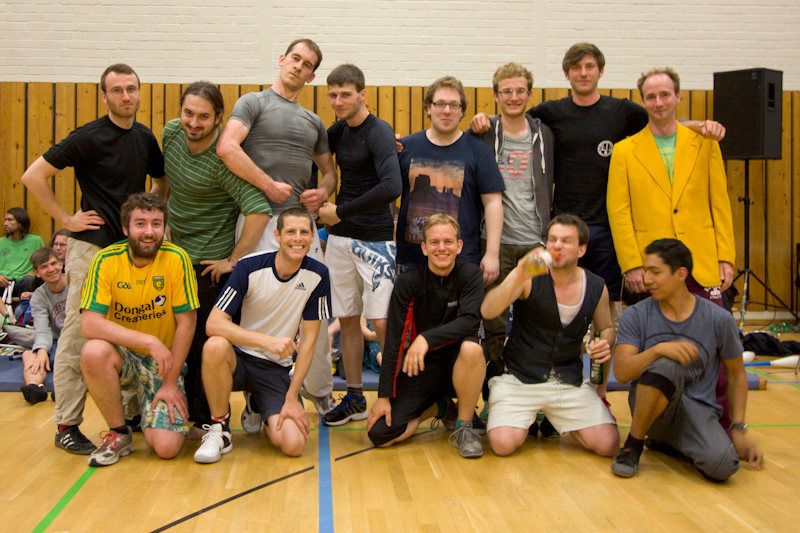 To encourage more jugglers to take part in more Fight Night tournaments. To encourage more jugglers to organize more and better Fight Night tournaments. To find out more, please read the Rankings F.A.Q. If you have any new tournament results or details, information, corrections, requests or other feedback, please email luke@juggler.net and I'll do what I can. If you would like to organize or host a Fight Night tournament, go ahead! This website is not an authority saying what anyone can or can't do. If you'd like some help, advice, or suggestions, check out the tournament resources section or email me. There is no single correct way to organize a tournament, but to be included in the rankings here it must be comparable to previous events.